Harry Lewiston was born Israel Harry Jaffe on April 2, 1900. In 1906 when he was 6 years old, he and his family immigrated to the United States. He was raised in a strict Orthodox, Jewish household in Worcester, Massachusetts. The story goes that he ran away from home in 1914 and joined the combined Sells Floto Circus & Buffalo Bill's Wild West Show. Claiming to be seventeen years old he was allowed to stay with the show. Since Lewiston, Maine was the first town he worked with, Israel Harry Jaffe adopted Harry Lewiston as his show business name. During that first year Lewiston worked as a pony groomer and led the animals in the parade. After a short stint in the Canadian Army and later in the 40th Battalion of Britain's Royal Fusiliers (which was manned by Jewish soldiers), Lewiston was discharged in 1919 and returned to Massachusetts. Lewiston must have had sawdust in his veins because in 1920 he was in Peru, Indiana looking for circus work. Peru was the winter quarters for five railroad circuses and was known as the "Circus Capital of the World." He got a job with the John Robinson Circus and began a thirty year career in show business. Lewiston worked as an usher, candy butcher, ticket taker, purchasing agent, sideshow talker, sideshow manager, owner and many other positions within the circus. 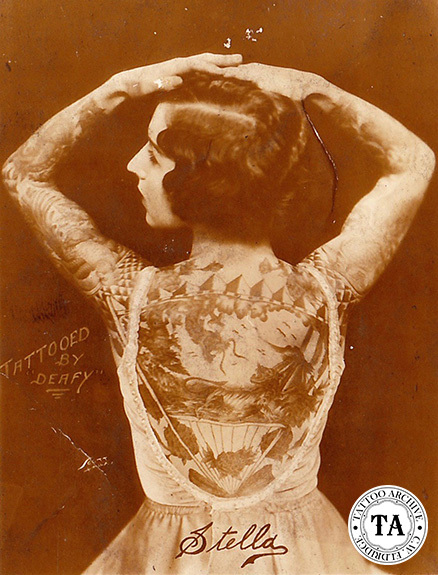 There is no record that Harry Lewiston was ever tattooed but he earned a place in the tattoo world by the fact that he worked with and employed many tattoo attractions during his years as a sideshow manager. In 1941 Harry Lewiston's Traveling Museum joined the Happy Land Show for summer events in Michigan. The Happy Land Show may ring a bell for many Paul Rogers fans as it was the show that Paul and Helen traveled with in the 1930s. 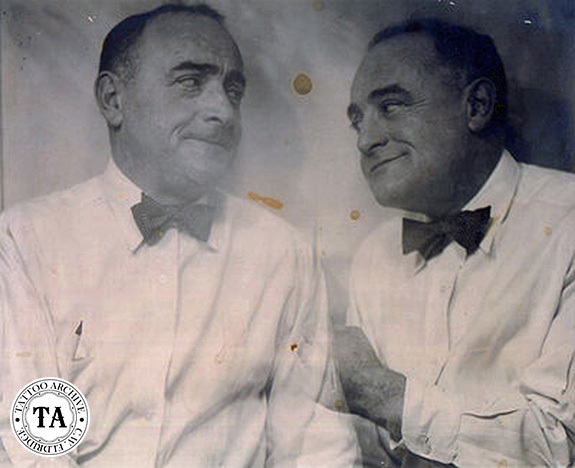 Harry Lewiston and Rose retired to Florida in the early 1950s. Sadly, Rose died in 1954. Harry remarried the next year and he and his new wife moved to the Los Angeles area and invested in real estate. 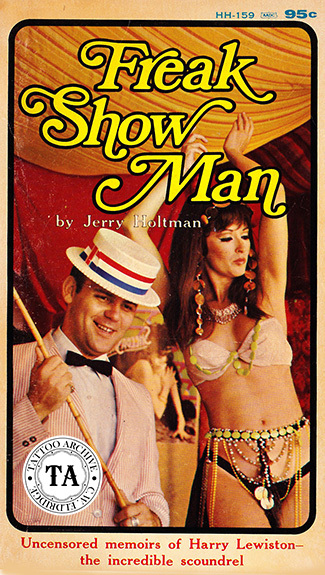 In the 1960s, as his health began to wane, Lewiston started work on his memoirs, Freak Show Man: the Autobiography of Harry Lewiston, as told to Jerry Holtman. Harry Lewiston died June 1 1965 in Southern California. Holloway House published his memoirs in 1968. Check out this book, it's a good read.